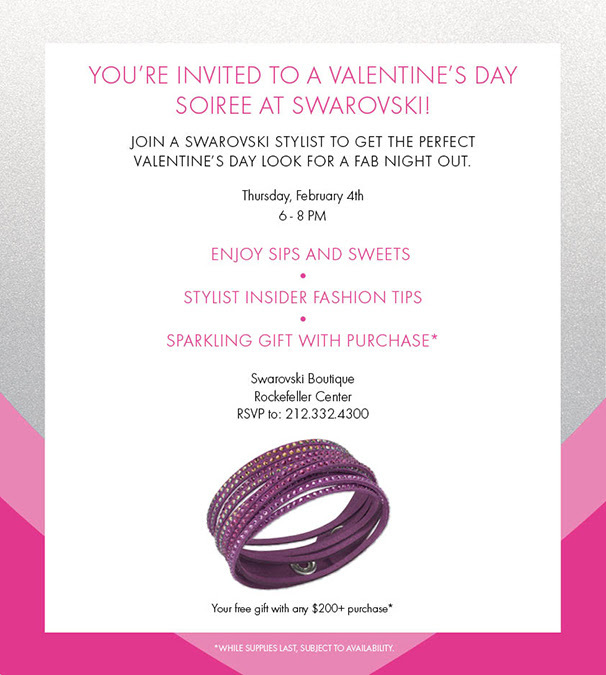 Join a Swarovski Stylist to get the perfect Valentine’s Day look for a fab night out. Tags: jewelry, NYC events, Swarovski. Bookmark the permalink.